Come along for a night of comedy at the Gateshead comedy lounge in Low Fell. Tickets are priced at £10. There will be hot food options available. 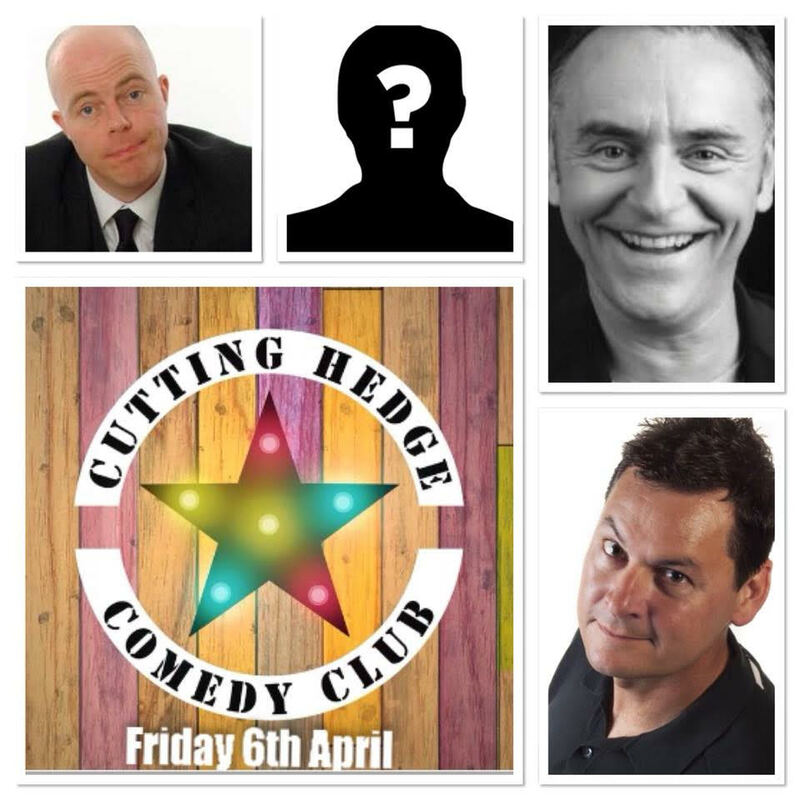 Cutting Hedge Comedy are looking to bring together some of the country’s hottest talent, rising stars and established comedy circuit acts to our line-ups. So all they need is you, come along, you never know you may well catch comedy’s newest sensation! Newcastle born Mickey Hutton started his performing career as a musician, playing guitar in the wonderful world of the northern working men’s clubs. He moved to London to do session work and released two singles with his band Strength on BMG Arista which flopped harder than a fat bloke in the baths. It was then he discovered the Comedy Store and decided to try his hand at stand-up comedy. He became so successful at this he gave up his career in music and started touring the country as a comedian and has not looked back. Phil Walker is one of those comedians who offers a little bit of something for everyone. His comedy style is relaxed, fun and easy to get into with his northern banter and amusing anecdotes. As a result he won City Life Comedian of the Year 2020 (previous winners include Peter Kay, Steve Coogan, John Bishop and Jason Manford). TV appearances include Talking Telephone Numbers (ITV1), Live at Jongleurs (Paramount), The Big Stage (Channel 5). He also happens to be the son of comedy legend Roy Walker and is just as funny as his dad but with a modern twist! Roger Monkhouse is one of the most original and distinctive acts on the comedy scene. A consummate stand-up who employs a deadly combination of charm and menace to exert a masterful control over any audience. A highly original and quirky performer, Roger’s trademark stage-prowling style and curious, inimitable manner have established him as one of the hottest names on the comedy circuit.A fine topical writer and performer, and master of sharp observational comedy, Roger is a regular member of the prestigious and critically acclaimed ‘Cutting Edge’ team at the London Comedy Store. They’ve just added an amazing act to our line-up on Friday 6th April…. Their Special guest* is one of the biggest on the comedy circuit with many TV appearances behind them and countless 5* sell-out out shows. *Please note the special guest cannot be named for contractual reasons but rest assured you wont be disappointed! Line-ups are subject to change occasionally due to circumstances beyond our control, any line-up changes will be announced immediately through Facebook, twitter and this website wherever possible, we will always endeavour to ensure any replacement act is of similar stature.